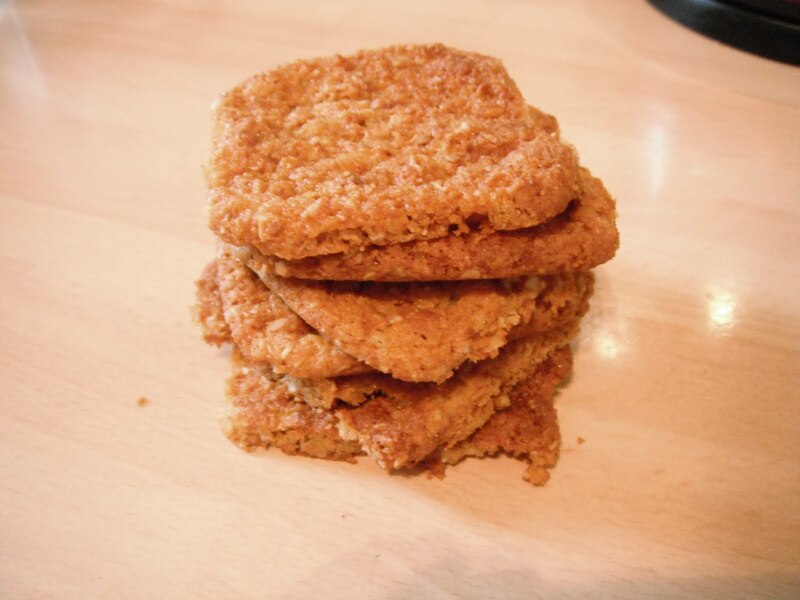 Anzac biscuits are popular in Australia and New Zealand; The 'anzac' part of the name is from the Australia and New Zealand Army Corps, since these were a popular item to send to men in the military during the First World War because of their long shelf life. Unlike most biscuits, these do not contain any eggs. 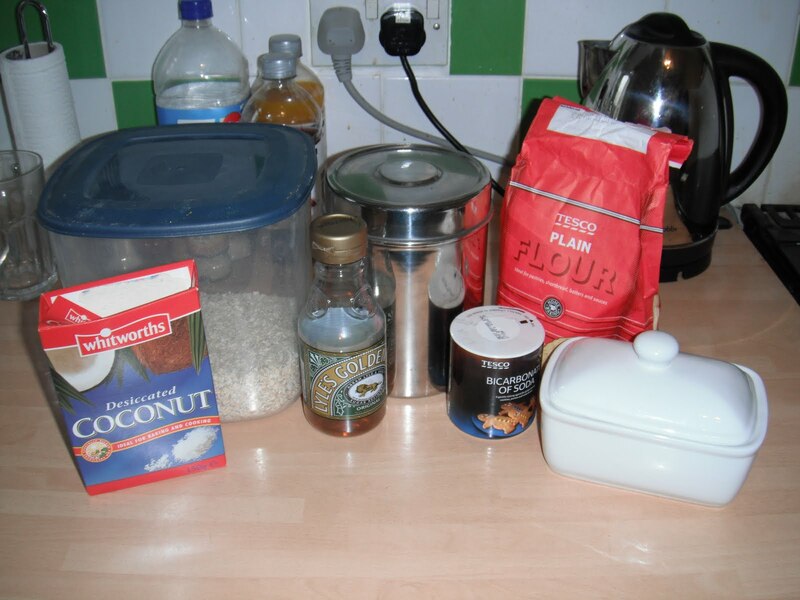 Before you begin with the ingredients, preheat the oven to 180° C/375° F/gas mark 5. 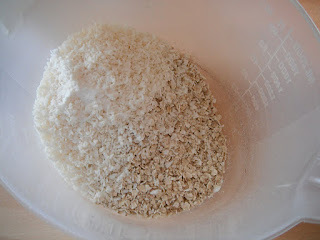 Then start by combining the flour, oats, sugar, and coconut in a large bowl. 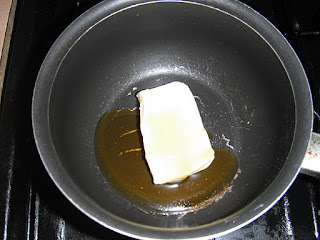 Put the butter and golden syrup in a small pan over medium heat, and stir them together for a bit until the butter is melted. Now, in a small bowl, combine the bicarbonate of soda and boiling water. I didn't include a picture of this because it wasn't very exciting, but if you want to you can just imagine a very small amount of cloudy water. Pour the water and soda mixture into the small pan with the golden syrup and butter, then pour it all back out and mix in with the dry ingredients. 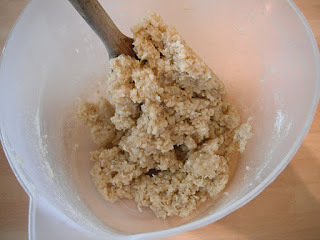 Once you have it all mixed, line an oven try with baking paper, and place dollops of the biscuit mixture onto the paper. Remember that they can't be too large or the inside won't bake at the same rate as the outside, so stick with around a tablespoon for each. If you want to do them in the traditional way, you should use a teaspoon instead. They're also going to spread out in a very relaxed way, so leave plenty of space between them. 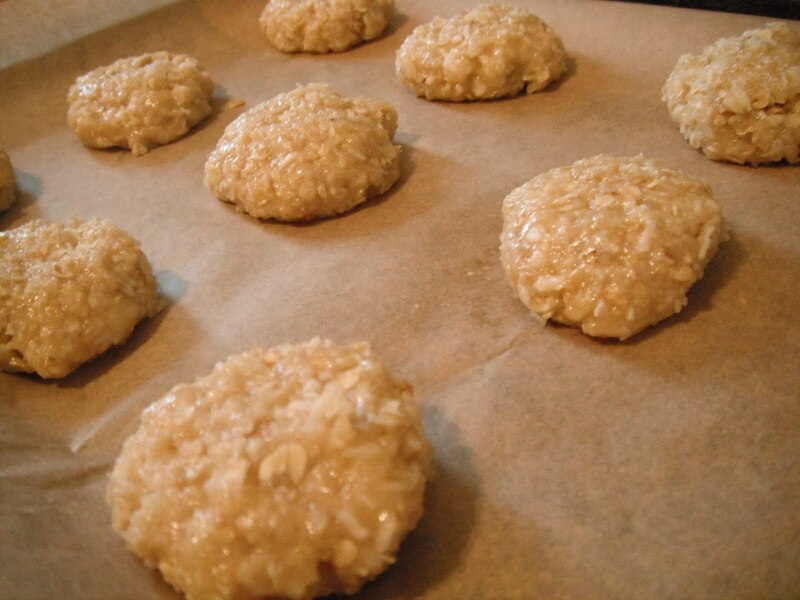 Put them in the oven and bake for 12 minutes (or until they're golden brown), then remove them. Let them cool for a few minutes, them separate them and arrange them on a bowl, in a bag, or in a fancy stack as an offering to the biscuit king. 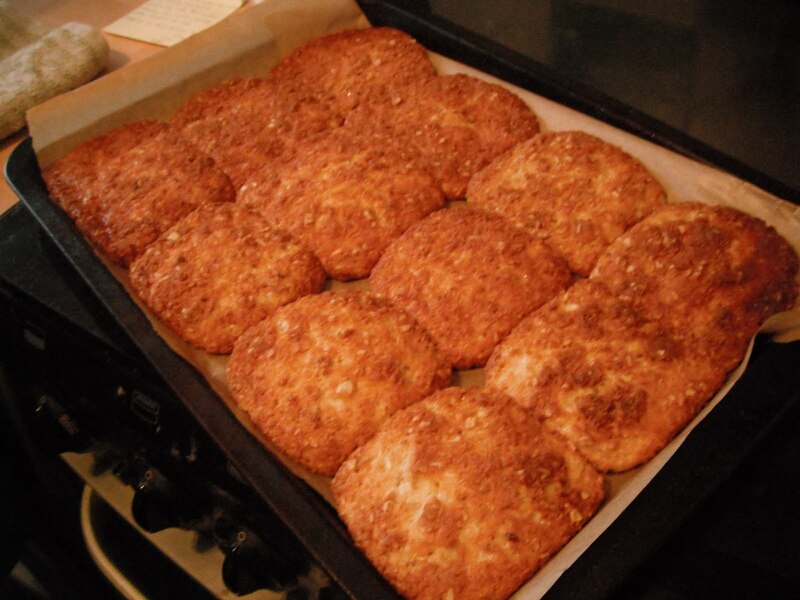 These biscuits have a lovely texture, crunchy on the outside and softer on the inside. I think if I'd made them smaller they'd be crunchy all the way through, but I believe I prefer them this way. Because they don't have egg they seem like something that would keep well, and they'd be great to take in a bag as a snack on a day out, in your kids packed lunches, or as you're reading this blog. I was really pleased with how these turned out. The Krostule puffed up nicely and were delicious. My kids loved them too and want me to make more. Which I might because they're easy to make!